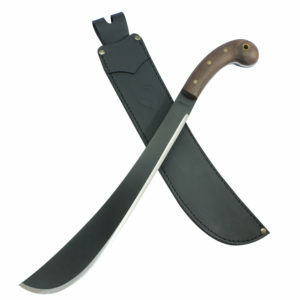 A moderately weighted machete popular in Ecuador and Colombia, this machete features a red handle, single grooved blade, and a spey tip. 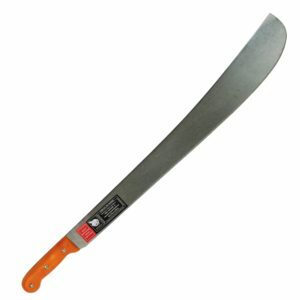 I’m a land surveyor in Florida, and this is my favorite machete. 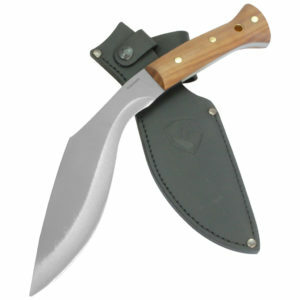 Not too heavy, not too light, and the red handle makes it harder to misplace.